Based out of South Florida, the inception of Swagger Fishing was to become the best internationally. 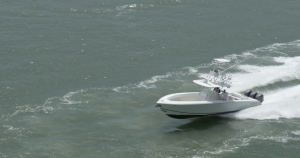 Whether they are fishing Lake, River, Estuary, Gulf or Open Ocean, this team comes fully equipped and travels worldwide with large vessel in tow. Having ice fished in 10,000 lakes, working the estuaries in the bayou, and exploring the Caribbean oceans, this team always finds the best species with the best size in the respective areas. 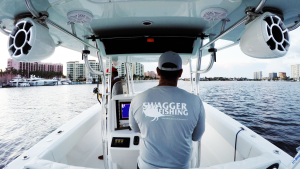 Upon inception, and ever-growing demand for Swagger Fishing apparel and products became a key issue that was brought to the attention of the team. They sat down with top specialists and created not only an amazing logo, motto, but way of life. After receiving your first Purchased product, you will see the amazing quality and understand why this team is becoming internationally recognized so quickly. although the team travels around the world all year long, they do spend some time at the South Florida base preparing for the next challenge or tournament. Once they learned about what Unlimited Abilities Foundation was doing for our annual event in October, the Swagger team knew they wanted to get involved. This year, they have generously donated an all-inclusive 8 hour trip out of Boca Raton on one of the Swagger fleets ’39 Venture. 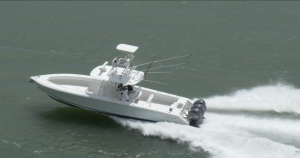 This vessel is not only the smoothest center Consoles in South Florida but also has the reputation to be one of the fastest and to always put you on the fish. We were so amazed when this opportunity was brought to us this year. We will never be able to thank the Swagger team for their dedication, generosity and understanding our cause. When the Swagger team goes to a new location worldwide, they do not enjoy the local culture, they become part of it!